You are at:Home»Lex Pedia»Lex Articles»Vote for Change ! What does it mean to me ? 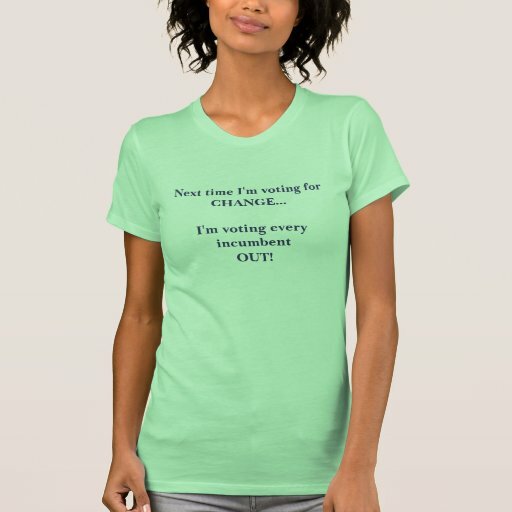 Vote for Change ! What does it mean to me ? If you have been an average aware citizen of this country the past few months, you could not have missed this slogan being popularized by one of the political parties in the elections 2014 race. Wait! Wait!! Don’t make up your mind to skip to the next article so soon. I assure you this article is NOT another campaign gimmick. The only reason that that slogan heads this article is the message it conveys. And while you, dear reader, have the choice to interpret it in any way you would like to, I urge you to allow me to present before you, my own understanding of this slogan. Thank you. Now, what do these words mean? Are they asking us to vote for someone who will bring change? I don’t think so. I think they mean something far better. What? We will get to that in a minute. First! There is an important question that needs to be answered. 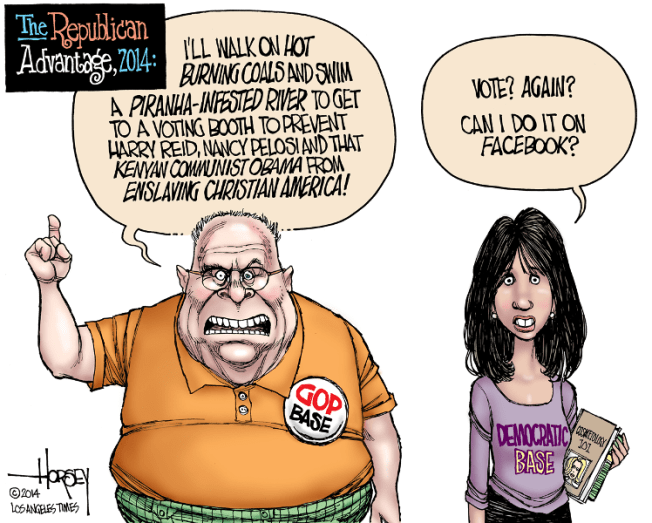 That question, dear reader, is whether change will ‘follow’ our vote; or ‘precede’ it? What do you think? Are we, citizens of the world’s largest democracy, being asked to bring to power someone who will usher in change? Or perhaps, we are meant to ‘be’ the change? There is quite a bit of difference in the two, you know. Do we consider ourselves mere pawns in the game of electoral chess being played, or the masterminds, having control over all the pieces, even the King!? You see, I have always thought that one needs political clout and a seat in the Parliament to bring change. That only politicians have the power to better the fates of nearly one hundred and twenty crore Indians. That the only way to improve and better our country’s condition is to try our best to get someone smart and bold into the Parliament, where they will wave their magic wand and make life all better! How wrong I have been…For this slogan has made me realize that I have been going about it all wrong. That it is in fact in my power to bring the change my country needs, and make it better. I cannot do it alone. It is not a one person job. In fact, all 120 crore of us are needed to bring this change. You see, I don’t think we are meant to simply vote for whoever comes along with a promise and a smile. I think that our vote makes ‘us’ the decision makers. In fact, I urge the millions of Indians who choose NOT to exercise this privilege to take part in this decision-making. Did you know that as per the data of the International Institute for Democracy and Electoral Assistance – which collects and disseminates voter turnout statistics for many countries – in the 15 elections held in India from 1952 to 2009, voter turnouts have never been higher than 64 percent ? In fact, the voter turnout in Delhi in 2009 was only 52 percent . If this be the state of affairs, then why would politicians want to bring change? They are being voted into power by only a few Indians whose needs are easy to satisfy. This means they get into power easily, and obviously, they ‘like’ the current system. The decisions they make are not likely to be beneficial to us; in fact, they quite often are ‘harmful’ for us. Therefore you would understand my pleasure at the pleasant change we are witnessing in these elections. Higher voter turnouts! Delhi reached 64 % this time. Chandigarh and Kerala witnessed 74 and 73.4 percent voters make the trip to the polling booths, respectively. Though India-wide figures will only be available later, we can hope for a record turnout this year. It would be relevant, at this point, to examine some of the reasons for low voter turnouts. Why do people not participate in choosing their leaders? First there are those who believe that they cannot vote in the absence of a voter I.D. The good news, friends, is that you can vote without them! Next, we can discount those who were ill, or prevented from voting because of the weather or other uncontrollable circumstances or pressing engagements. Then there are the people who do not vote because they do not like any of the candidates in the running. I must say I sympathize with this lot. After all, why vote for someone you don’t like? However, that excuse will no longer work. After all, ‘None of the Above’ is here! So go vote. 1) One person’s vote does not matter. 2) This country will not change, no matter who wins and whose government rules. 4) It is my right to vote and hence my right to abstain from voting. I must admit that this last group fascinates me the most as I really want to change their minds. I want to prove that our votes DO make a difference, and that they DO bring change. Allow me to take the example of the Indian Army for this. Did you know that despite being one of the most respected professionals of the country, and having earned their citizenship by protecting their homeland, the Armed Forces of our country found it near impossible to exercise their right to vote, for many decades? The essential feature of their duty, protecting their assigned posts, has time and again been used as an excuse to deny them their right to vote. This has changed, only very recently, and only because of the efforts and support of many people and an online campaign. The turning point was the Supreme Court’s verdict that in the 2014 elections, Armed Forces Personnel be allowed to vote from the constituencies they are posted at. Now you, dear reader, must be wondering why I have informed you of this positive development here, when we are having a somewhat unrelated discussion. The reason is that though this change came only through the support of a lot of civilians, the soldiers too had an important and well planned role to play to make it happen. And the reason why THEY worked so hard to get their right, apart from the reason that ‘it is’ their right; is their newfound understanding of the power of their vote. When soldiers from all wings of the Armed Forces began taking an active interest in voting, right from the time when their only options were unreliable postal ballots and impractical proxy votes, to the present when they can vote from their places of posting, it brought about an immense change in their position. It so happens that while citizens of India have an immense amount of respect for them, we are not the ones making decisions that impact their lives. It is the politicians, who on the one hand showed respect for the soldiers’ work, but on the other refused to aid them and reward them justly for the same. All because they weren’t a ‘vote bank’. So, in an inspired move to ensure that it becomes important for the politicians to fulfil their demands, they decided to put their great numerical strength, comprising around 26 lakh personnel, to use. These personnel from the Army, Navy, Air force and the Coast Guard, both active and reserved, along with their family members, make a sizeable vote bank that is now the Holy Grail of every political party worth their salt. As a result, their demands will now not only receive fair hearing, but also be fulfilled without unnecessary delay. An example is the One Rank, One Pension scheme, recently passed by the UPA government after decades of wait. This movement started in 2009 and has shown its effectiveness in merely four years! So now you know the importance of your vote. Granted, the kind of unity and group identity required is great, but even so, the basic idea remains viable for all. When people exercise their right to vote, the government becomes accountable and starts listening. Indian citizens enjoy the most inclusive voting rights possible, with age being the only substantial criterion to decide voting capability. 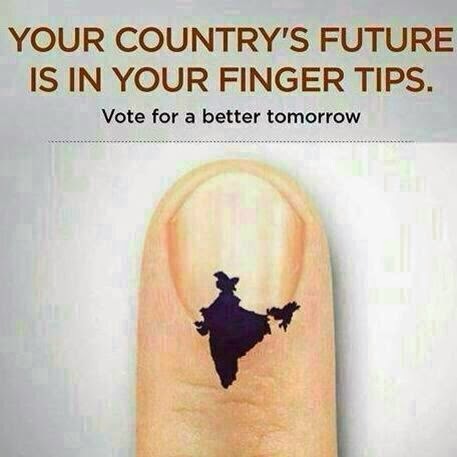 Despite having the ability to do so, Indians are yet to use their votes effectively. Let us hope this situation changes soon. An important factor in these elections are the 150 million young voters of Rising India, with their willingness to vote and their awareness of ground level realities, which can turn them into harbingers of change. However, as they say, prevention is better than cure. It is important that people realize that their actions can have both positive and negative ramifications. Thinking through the available choices and acting reasonably can ensure that we receive great success in little time. But overdoing things would certainly be bad for us all. In conclusion, I would like to reiterate, dear reader, that your vote really can make a difference. Utilize this power and help your own growth. Don’t just vote for change, vote and be the change. Images from here, here and here.